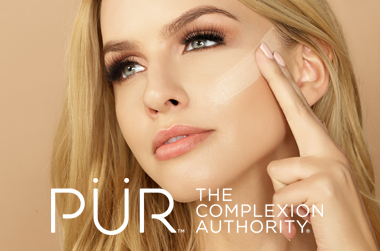 As the Complexion Authority, PUR Cosmetics are clinically formulated to deliver better looking skin in an instant, and healthier skin in 60 days. PUR Cosmetics are the destination around the globe for the best in skin-perfecting, mineral-based makeup that is good for your skin. PUR Cosmetics is "makeup with a purpose" - all products are formulated with healthy, skin-nourishing ingredients that not only cover imperfections and improve the skin&apos;s appearance, but also correct and perfect. All formulas are packed with key antioxidants, vitamins and minerals for skin health. Proud to be 100% Cruelty Free, PUR Cosmetics believes that innovative beauty shouldn&apos;t be a burden, and have been committed to creating products free of animal testing from the very beginning. Eco-conscious makeup users can also breathe easy, knowing that PUR Cosmetics is committed to minimising waste, with an environmentally responsible ethos that includes responsibly sourcing ingredients. Adore Beauty is an official stockist of PUR Cosmetics, with free standard Australian shipping. I love this for a casual, relaxed look. I just use this and a little bit of translucent powder over my face and just head off. Super soft and gentle. A little goes a long way! Isn&apos;t heavy at all and doesn&apos;t clog pores. Great for a subtle look with a little dewiness. Perfect starter pack with all the best from the brand. Gives a full coverage look which doesn&apos;t smudge throughout the day and which doesn&apos;t clog my pores!